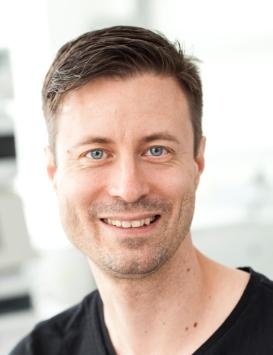 Profile: Professor Erik Reimhult got his PhD in Physics and Engineering Physics in 2004 from Chalmers University of Technology. After stints as postdoctoral researcher in Singapore and at the ETH Zurich he moved to Austria in 2010 and became head of the Institute for Biologically Inspired Materials at the University of Natural Resources and Life Sciences, Vienna. In 2013 Reimhult was awarded an ERC Consolidator Grant Award for research on nanoparticle-membrane interactions. He is elected member of the Austrian Academy of Sciences Junge Kurie. His current research focus is the development of new approaches to synthesize and study the assembly of biomimetic nanoparticles, colloids, polymers and polymer interfaces. Abstract: Core-shell nanoparticles can be used in biomedical applications, e.g., for biomedical imaging, hyperthermia and in drug delivery, as well as for biotechnological applications such as separation and purification of proteins and cells. Unique functions can be achieved by using nanoscale inorganic cores; superparamagnetic iron oxide nanocrystals (SPION) is a prime example, which allows control of interactions with magnetic fields. These functions for SPION include contrast enhancement in magnetic resonance imaging, guided and controlled drug delivery responding to external magnetic fields that harmlessly penetrate the body. The colloidal interactions between nanoparticles and biological colloids, from proteins to cells, must be controlled to enable these functions in a biological environment. Interactions with proteins can be tuned by grafting dense shells of polymer brushes with controlled morphology and topology around the magnetic core. We will show examples of how this can be done with biocompatible thermoresponsive polymer shells and how this ultimately controls cell interaction and uptake. Detailed control of the physical and chemical properties of the nanoparticle shell makes it possible to structure them into amphiphile and polymer assemblies of higher order. Such assemblies, e.g. drug delivery vehicles incorporating superparamagnetic nanoparticles, can exploit magnetic fields to control release of compounds stored in the vesicle lumen. We will describe multiple developments from our lab regarding the experimental design and characterization of such hierarchically structured nanomaterials. Our focus is on using localized magnetic heating of nanoparticles in lipid and block copolymer vesicles to control membrane permeability through nanoscale membrane phase transitions, and thereby release encapsulated molecules.